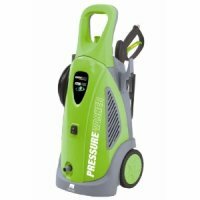 Welcome to Pressure Washer - Steam Cleaner Reviews the home of independent, objective and costumer oriented product reviews. We proud ourselves in the work that we do which is to bring you high quality decision sharping and empowering information when it comes to your next pressure washer or steam cleaner related purchase. Our reviews are done by experts and experienced professionals when it comes to the products in question. We understand that money doesn't grow on trees; it will probably never do; a wrong purchase does not only cost money but also time and along with it a great deal of inconvinience. 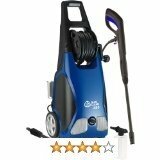 Our website was created to cover a whole range of brand name steam cleaners, steam mops and pressure washers. We specialise in top brands such as Honda, Shark, Simpson, Troy Bilt, Bissell, Euro Pro, Monster and Eureka amongst tens of other top and leading product names. Each product regardless of brand has its own finger print. We have a policy to tell it like it is. We are feared by manufacturers and stockists for accepting no incentives to give a positive review. Our expert and experienced reviewers consider a variety of things when carrying out reviews. As a matter of fact we have a specific algorithm which we apply to each product whose central tenet is aggregate past user experience. Even though price is important to us we give high regard to the quality of the product including after purchase access to parts and accessories such as pumps, hose and guns. The durability of each product is also important to us. With a market filled with tens of pressure and steam cleaner brands it is of paramount importance to us to separate the real brands from the wannabe brands. Your time spent here will not be wasted. It is time well spent. Were possible and were we are confident to do so, we lead you out via links to specific stores with the best products at the best price. 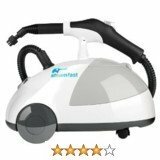 In all that we are doing at Pressure and Steam Cleaner Reviews we recognize the role that our community of users play in making this the greatest place to start when considering a purchase online. We have made it possible for all our visitors to freely leave their feedback on a specific product to the benefit of the entire community which continues to grow day by day. Feel welcome to follow specific links on each review page to a new page were you can submit your comment for publication. Welcome to our community we sincerely wish you a happy and fruitful visit and stay!